By Catherine on December 20, 2011 | Last Updated November 28, 2016 | 18 Comments | Medical Disclaimer | This Post Contains Affiliate Links - I may receive a commission if you purchase through links in this post. 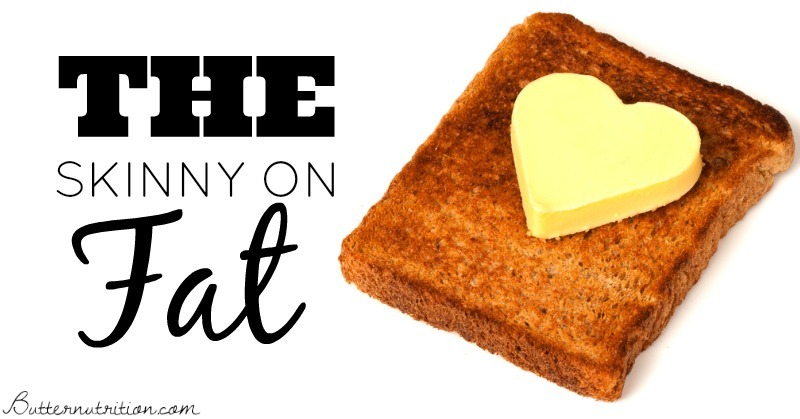 There is a lot of misinformation out there about healthy fats. “Fat makes you fat” is the most commonly accepted notion, but where did this actually come from? Natural and healthy fats such as butter, coconut oil, cream, egg yolks, lard, etc., have been used for thousands of years with no “fattening” effect. The low-fat craze of the early 1990’s had a huge brainwashing effect on the perception of healthy foods. When you choose fat-free foods, you naturally choose higher sugar/higher carb and lower protein foods, because protein in its natural state comes with a healthy dose of fat! You also then eat more of these foods because low-fat equals low satiety, meaning you must eat more to get full than those who eat fat liberally. Another major plus of eating healthy fats is something called fat-soluble vitamins. 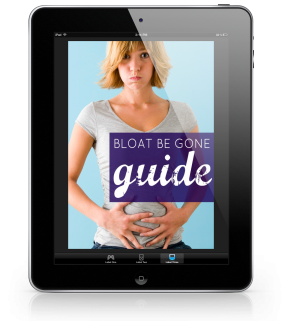 They are abundantly found in healthy animal fats, and actually require fat for absorption. Vitamins A, D, E, and K are all fat-soluble vitamins that help keep your body in tip-top shape. Vitamin A specifically is actually very important for your metabolism and thyroid health, so make sure you include foods like liver, butter, and egg yolks in your daily diet. So what do healthy fats (the right kind) do for you? They can actually help keep you slim! Choosing healthy fats: Eat saturated fat instead of unsaturated fat! Unsaturated fats are also known as PUFAs (polyunsaturated fatty acids) and are found in largely in oils- including vegetable, corn, canola, peanut, flax, soy and fish oils. The cheapness of these oils makes them an essential ingredient for most processed foods (especially sauces, mayonnaise, candy). These fats are often highly processed, unstable, and oxidize very quickly in the body! They are also a huge burden to the liver and can block or slow hormone synthesis. According to Dr. Ray Peat, “Unsaturated fats cause aging, clotting, inflammation, cancer, & weight gain.” Not the kind of food you want in your diet! 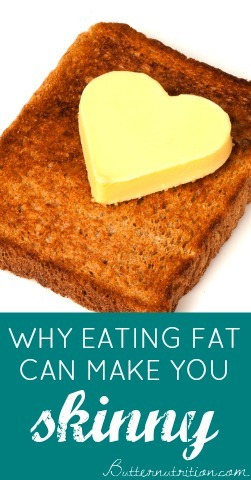 Choose saturated fats like butter, coconut oil, and lard as the main fats in your kitchen. Olive oil can be a good choice in moderation, but it is not very heat stable, so it’s best to use after cooking. -Ditch the polyunsaturated fatty acids (PUFA) and just say no to fake food! -Use coconut oil to cook and bake with. Refined coconut oil is nearly flavorless, and is stable for cooking at higher temperatures, where as virgin coconut oil is best for popcorn or desserts you are okay with having a coconutty flavor. What are your favorite fats? Please share in the comments! Peat, Raymond. From PMS to Menopause: Female Hormones in Context. Eugene, OR, 1997.
great roundup on the importance of not being afraid of fat! sharing this with a friend. “think of your body as a fire, fat are the logs, carbs are kindling” nice analogy. it’s not just fat-phobia these days, it’s also carb-phobia. we need all these in our diet to be healthy! most of all, we just need to enjoy food in it’s real, unadulterated state and stop discriminating any nutrient group. And not just the macro-nutrients but we need to eliminate as many chemicals from our food source that we can. Our bodies were not meant to live on chemicals. you mean certain harmful chemicals like hydrogen cyanide, for example because you just cannot avoid chemicals in our food. Think of it this way: foods are complex things and a little goes a gigantic way. also, most so called ‘natural’ foods are ingredients that contain little chemicals with water being a chemical itself! Examples include: bananas contain: water, glucose, fructose, sucrose, maltose, starch, glutamic acid, aspartic acid, histidine, leucine (yep, proteins are chemicals! ), lysine, phenylalanine, arginine, valine, alanine, serine, glycine, threonine, isoleucine, and this is only the first 1/10th of the list of chemicals in a banana. a heart candy contains: sucrose, malic acid, stearic acid, sodium bicarbonate, starch, magnesium stearate, magnesium carbonate, anthocyanin, beetroot red dye, copper colour, curcumin, lucein and paprika for the whole entire list of heart candy chemicals! a candy has 13 chemicals wheres a banana has more than 60 chemicals. Humans are heavily exposed to pesticides used by Farmers. Over time humans are getting ill of all types of sickness.Especially CANCER whether you smoke or not. Youngsters also developed CANCER. and none in families Smoked! 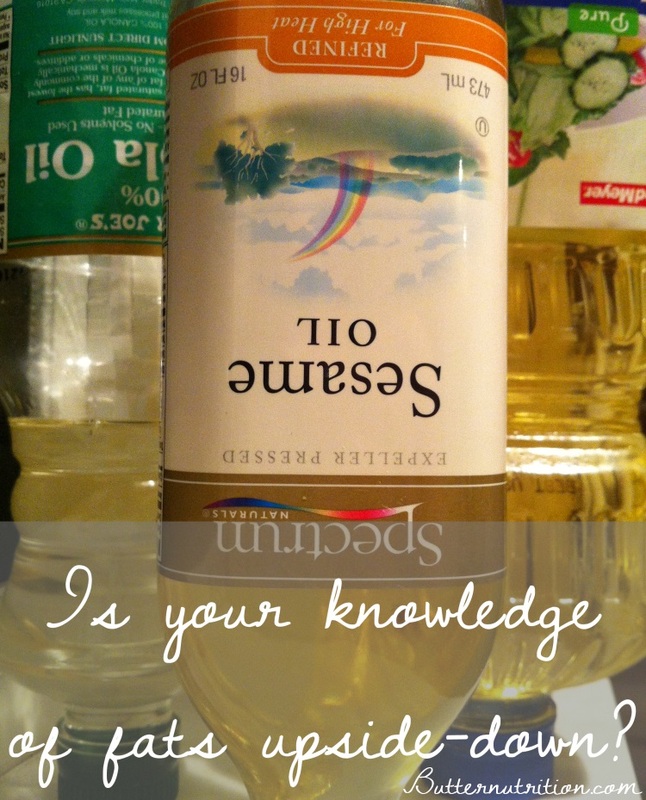 Stay clear from soft drinks – read INGRIDIENTS AND CHECK IT OUT ! Sign off! hi love, very informative i have told people i work with about your site. 🙂 its great! We can’t afford grassfed, raw butter. Is it still okay to eat store bought butter? I think any butter is better than none. However, do read the ingredient list, and avoid a butter with natural flavors, and additives other than cream, salt, etc. Where are you getting your sources? I was pretty sure that fish and flax seed oils are really good for inflammation. How are they bad for you? I can understand the whole mercury issue with fish oils but other than that , it’s a great source of omega-3’s . Just wanted to also mention I have colitis and have found that fish oil has helped me tremendously as far as inflammation goes. Please site your sources because this article bugs me. You should understand & identify the differences between good fats and bad fats. then you should know what type fats falls in which category. In this case, as I explained define above. Polysaturated fats contains omega 3&6 which is hard to find besides in fish and nuts. pumpkin nuts, seeds, etc.. Fish oil has been proved as having anti-inflammatory effects on the body. Also the seed oils you mentioned become inflammatory because PUFA are very unstable when it comes to oxygen damage and go rancid fast. This is why it is recommended to grind the seeds just before you eat them otherwise store in the fridge but not for a long time. PUFA are great for health. You’re confusing polyunsaturated fatty acid chains with trans-unsaturated fatty acids. What’s a good cooking oil alternative for those with coconut allergies? Do you see any problems with using avocado oil? I use it mostly for mayonnaise since it has a neutral flavor and occasionally for cooking if I know a guest doesn’t like butter or coconut oil. You forgot MUFAS (Monounsaturated fats) and omega 3 fatty-acids (DHA, EPA and alpha-linoleic acid).